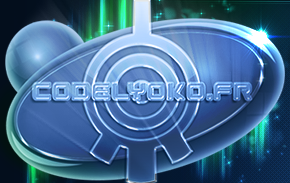 If you are a non-initiate who has just found out about Code Lyoko, this page is for you. It will allow you to get your feet wet on the site without drowning in the massive amount of information it contains. Enjoy. You can see different menus on the side. If you are only interested in the original series for now, the Code Lyoko menu is what you want to look at (Code Lyoko Evolution is covered in the next paragraph). This section contains all the information on the cartoon. Caution! Absolutely everything here is explained. Therefore, if you don't want to spoil yourself and discover the series step by step, don't venture too deep! You have most likely seen an episode or two here and there. So the cartoon may thus seem somewhat muddled. The most simple thing to do is to read the homepage of the "Story" section. It sums up the concept of Code Lyoko, without going into the details of the plot. -	The Places section will give you a look at the different locations in the series. Some of those, however, don't appear until later on in the story. -	The XANA section is also very detailed. Reading the first two paragraphs will help you gain a better understanding of the series villain. -	Finally, the Characters section will provide you with information on the different protagonists in our story. The other pages won't be necessary for now. In ANY case whatsoever. If all you want is an introduction to the cartoon, stay on the surface of the sections that sum up the content of the 4 seasons. You may be part of that new generation of fans, who discovered the Code Lyoko Universe through the live action series Code Lyoko Evolution. The first thing you have to know is that this series is more or less Code Lyoko's fifth season. However, you can watch it without having seen the original series. If you want to discover it directly, you have two options. You either read only the first part of the Evolution Story section and then watch the episodes. Or - and we recommend you do this - you watch the whole original series before you begin. If that's not possible for you, the best thing to do is to stay and read the whole Story section: Back-story; Prequel; Season 1; Season 2; Season 3; Season 4. 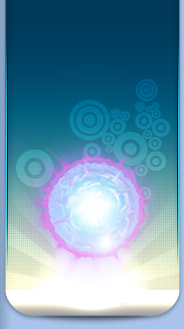 You will then have all the elements you'll need to understand Code Lyoko before tackling Evolution. The rest of the Code Lyoko Evolution section works in a similar way to the Code Lyoko one. You can either glance through or read all of the Characters, XANA & Places sections...depending on whether you want a glimpse of the series of a thorough summary. Finally, we point out that there is a file on the differences between Code Lyoko and Code Lyoko Evolution that resulted from the adaptation into live action. You are now ready to become a sharp expert on the series concept. If you examined the Story section from all angles and want to deepen your understanding of the Universe, we'll help you go deeper. To get started, read the whole XANA section, which is pretty exhaustive on the subject of the multi-agent system. Four pages in the Places section are also worth a detour: Towers, the Network, the Digital Sea, and finally Replikas. There you will find explanations or theories on these important key concepts of the series, the understanding of which isn't always plain obvious. You now know the story and you've mastered the key concepts of the series. You can still develop your knowledge of the episodes, Evidently, the idea isn't just to be able to simply recite the episode titles in the right order...rather be capable of seeing further than the simple given content of any episode...in order to have a global outlook on the series. The Episode Guide is really the key section of the site...and an Internet landmark. Each episode has its own page. As well as standard information on the episode and a summary, you can find extremely interesting anecdoes on the episodes and much more. You definitely can't miss it. Also, if you are interested in the combat, Lyokostats, an exclusive system developed by CodeLyoko.fr, will allow you to know, for each episode, season and the series, who the best Lyoko Warrior is! Like any production, Code Lyoko was made possible by a huge amount of behind-the-scenes work. One of CodeLyoko.fr's exclusivities is this: allowing you to discover a part of this work done prior to the episodes. From now on, the Creators section will be your new holy book. Some submenus open the doors to learn about the creators of the series. First off, Moonscoop. But also Norimage (the company responsible for shooting CL Evolution) and the different employees of those two companies who worked on Code Lyoko and Code Lyoko Evolution. The Interviews section will allow you to read all kinds of interviews with people who worked on Code Lyoko and Code Lyoko Evolution, from creators to writing directors... And even the actors from Evolution! The actors, by the way, have their own section in which you can find absolutely everything there is to know about them. If you're less interested in the people than the actual work, dive into the conceptual documents! Open the "Media" drop-down menu. You can now find a number of conceptual documents by clicking on the Storyboards link...as well as in the videos made by the series creators (which are mostly in French). In the Code Lyoko Evolution section, on certain Places, Actors or Episode Guide pages, you can find some anecdotes from the filming sessions. Another dimension of Lyokofan culture is knowing what the series went through, how it evolved, until it became what it is now. Lucky you, CodeLyoko.fr gathered up an enormous file on the history of Code Lyoko, from 2003 to 2013, to celebrate the series' 10th anniversary. Of all these very instructive files, pay special attention to the Garage Kids page, which tells you everything about the origins of the series. And here you are at last, the last stage of our first adventure... The expanded Universe! Indeed, like huge sagas such as Star Wars, Code Lyoko has a canonical Universe (in other words the events that only take place in the episodes, which are absolute truth for Lyokofans)...but also an expanded Universe: a set of alternate stories, or supplementary developments. You will find all of these in the Lyoko Universe section. First, there is a series of 5 comics, available to read in English on our side. Not overly interesting. You'll discover all about them in their section! Truly a Dantean ending for a not so much Dantean cartoon! This concludes the first part. Now Aelita has to leave you and go deactivate a tower. However, if you have followed all of the steps, you are probably among the people who know the most about Code Lyoko. Join us on this amazing adventure!